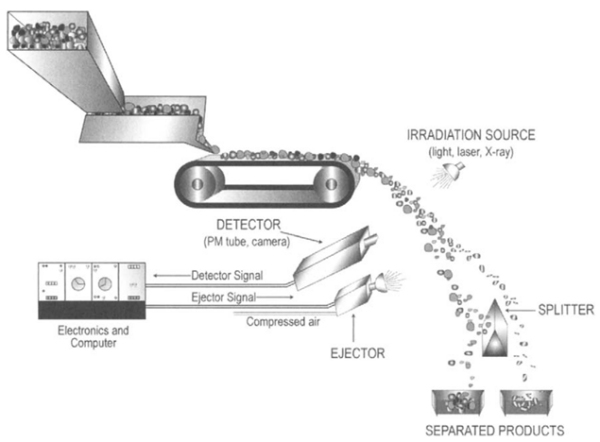 What is ore sorting ? from waste at an individual particle level. The ore is sorted to remove waste and improve the efficiency and capacity of processing plant while increasing the grade. 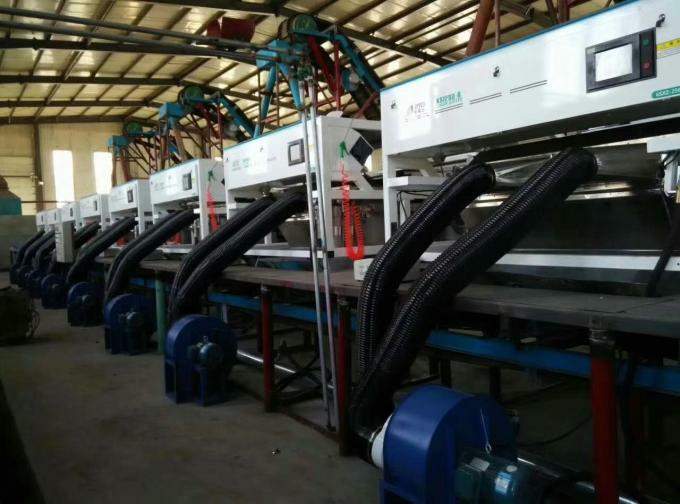 Zhongke has been developing and manufacturing optical sorting machinery for a wide range tasks.Zhongke mineral sorters are among the highest-capacity color sorters worldwide.The various sorters separate materials ranging from the size of a pin head to the size of a soccer ball. 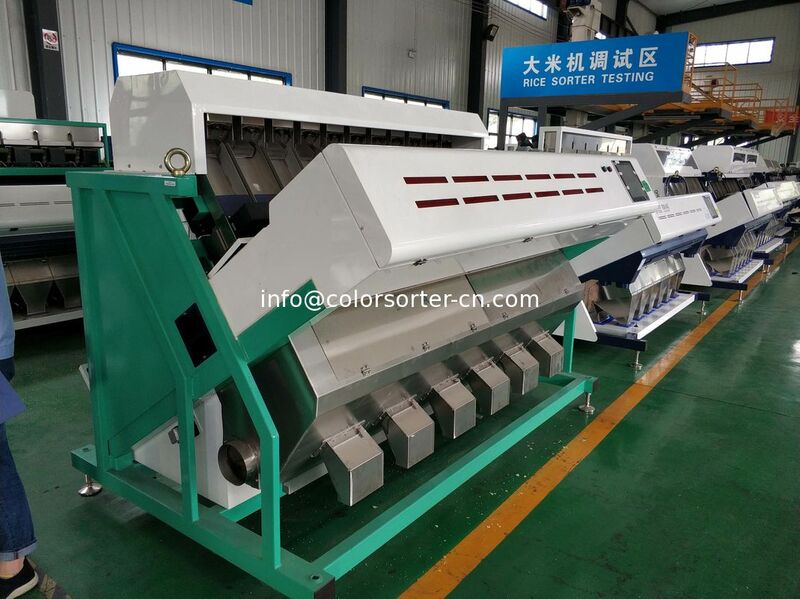 For the different sizes and characteristics of material particle, mineral color sorter machine use the solenoid valve of different sizes. In recent years, Our sorting systems have proven their effectiveness in sorting minerals in many varying applications. We sort raw materials using color,brightness and shape and cost effectively replace size reduction and hand sorting as means of upgrading run of mine product. 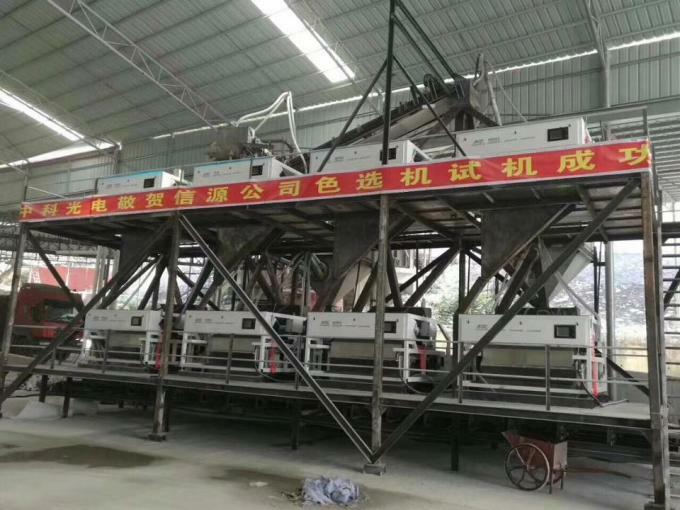 From the mineral experience in the field,Zhongke has evolved an entire family of reliable sorters operating in the particle range of 120mesh-100 mm with throughput rates of 5-150 t/h.